Well, I have officially started making my Christmas cards for 2009! You will see me posting more and more every day! 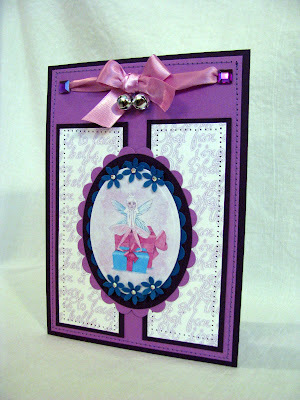 This one is made using a new eKit from Making Handmade Cards called Christmas Original. I don't know why, but I seem to be stuck on the non-traditional colors right now....what's up with that? I used real and faux stitching on this card. The faux stitching is done by using the sewing machine with no thread in the needle. I think it's a cool look! If you are new to the Making Handmade Cards site, you can pop over and pick up some FREE goodies just by signing up to receive their newsletter...its FREE too! The BEST thing about digi kits is that you NEVER run out of your favorite papers. I always horded my favorite papers and wouldn't use them, but now I can use as many and as much as I want and NEVER run out! YAY! Thanks for stopping by to see me today! Please be sure to go over and sign up for my blog candy giveaway on Monday's post! See ya next time! HUGS! Too Cute Dee Dee. Love the colors and the little bells are so cute! 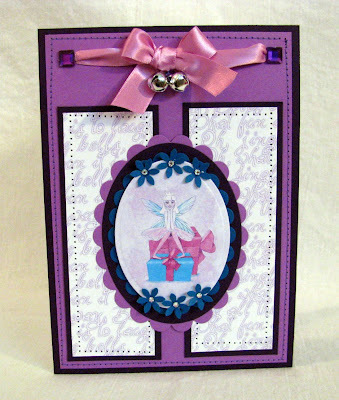 Beautiful card DeeDee, i love that you've used non-traditional colours. Love all the stitching!! 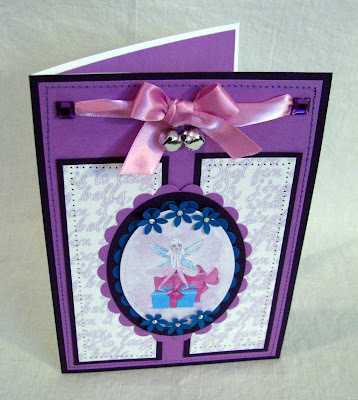 very pretty card, DeeDee! Love those bells on the ribbon! Cute, cute card, girlfriend!! HUGS! !